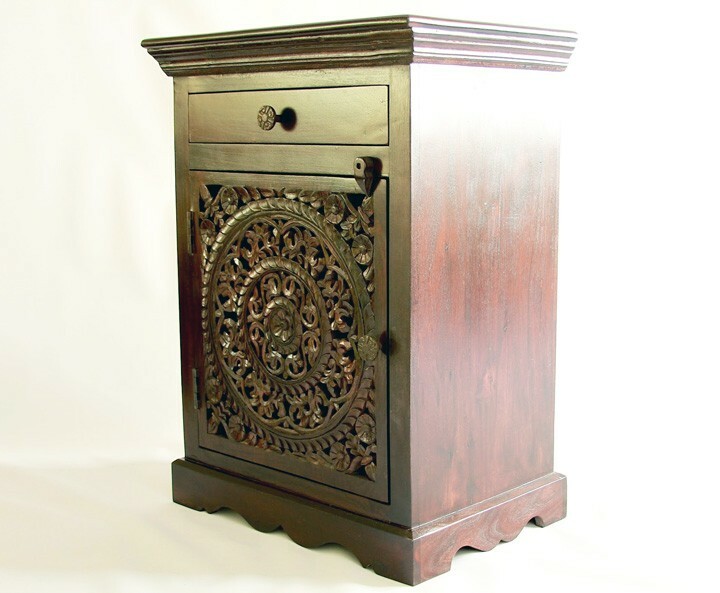 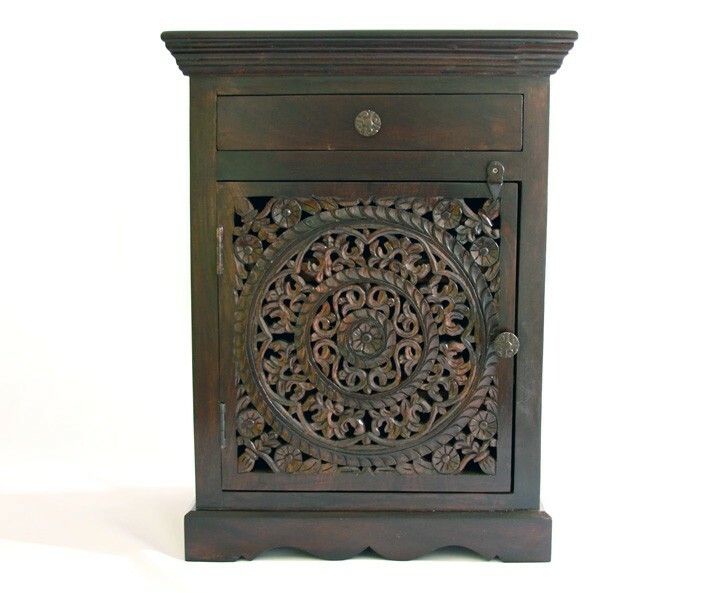 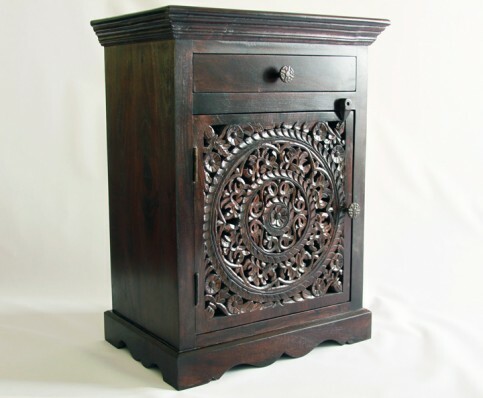 The Lotus Nightstand features a hand carved lotus door and drawer, constructed from Neem wood of the Mahogany Family, a dense hardwood with natural pesticide qualities. 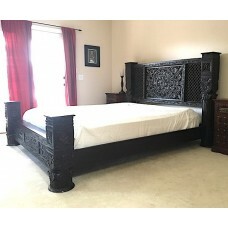 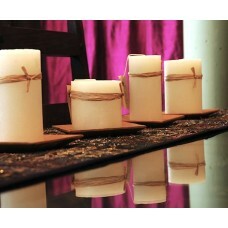 It is featured in a medium antique finish, matching the beds and seating in carving and color. 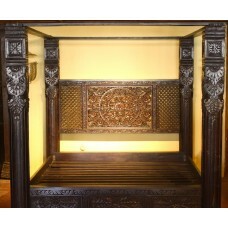 Designed, Produced and Imported by Worldcraft exclusively.